We are in a unique situation that many creative teams don't often find themselves in. Now, it's known that, while both of us create the stories and characters and plot lines, Kara makes the words and Ginger makes the pictures. That's how division of labour goes when it comes to the creative content. But there's a lot more to it, and to get to the gist of it, you have to look at our experience, education, and day jobs. First, Ginger. She's an art major who's worked at two design firms, the current one being a small business where everything is done by a close-knit group of people. With a handful of exceptions, they do everything in-house. For Ginger to do her day job, she has to know everything from the minute differences between paper to the qualities of different brands of T-shirts and what inks will work on them... pretty much off the top of her head. The design element also means she knows how to lay out pamphlets and books. That's what she does 40 hours a week, and a lot of that carries over into her personal design work. Then, Kara. She's an English major who's worked for four news sources both online and offline as a writer and editor. The online element required her to get really quick at everything from learning new software to laying out a website. Outside of that, she works for Onezumi Events as a Community Manager, which entails running social media and blogging for two separate conventions. The CEO, Oni Hartstein, works C-level marketing as a day job and passes that knowledge on to Kara so she can get the job done for both cons. It was an interesting day when we realised that, between the two of us, we have everything we need. Now, we could have gone through a third party for our ebooks and print books, but our needs are unique and a bit odd. We insisted on the business model of a free first book, followed by pay-what-you-want for all future ones. No third party site lets you do that, so we knew we'd have to do it ourselves. Fortunately, one of us -- Kara -- is really good at mastering new software and patching together website solutions. As for the print book, we wanted our illustrations to be in colour, for certain. But there was no cost-effective way of doing that through a third party. Fortunately, one of us -- Ginger -- works at a print shop that does perfect binding, and knows how to lay out a print book and choose paper for it. That's not even bringing into play everything else that goes around making and marketing these books. In other words, we're pretty much a ten-person publishing company made up of two people. 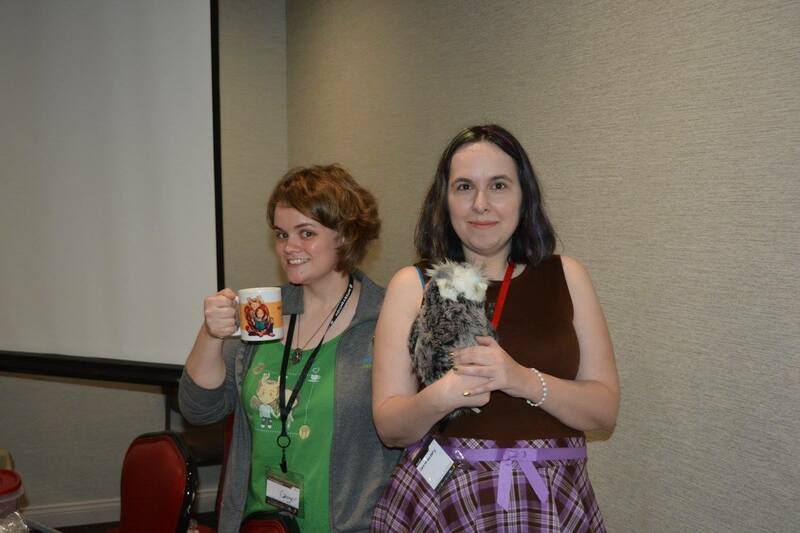 And while we do have help from great people like Angela Pritchett (for recipes) and Emily Kamp and Mai-Anh Tran (for tea blends and con panel prep), literally everything you see happen comes straight from us. A lot of that is out of necessity, and there are definitely days when we'd both like to hand off the grudge bits to someone else. But for a project like Owl's Flower, where so much of it is about subverting tropes and bringing something new to the format, it's reassuring to have that level of control. We know what's happening every step of the way, we know something's not going to go wrong (or we have a 50/50 chance of knowing whose fault it was if something does go wrong), and we maintain creative control. And when it comes to decisions like whether we really want to spend a few hundred dollars we don't have on ISBNs or which ebook formats we need to make available, we can cross-check each other. Would we suggest this method to everyone? No. Well, unless you and your co-creator have these skill sets. Then knock yourself out. It's a lot of work. It's a lot of t-crossing and i-dotting and cross-checking. But it's ultimately rather rewarding, in its own way. And we're hoping it enables us to offer you guys something extra special that also ensures that any money you spend on us and our work stays with us.